Stride Treglown are leading a full multidisciplinary team to deliver a pathfinder project, which provides a new model of hospital care within the UK. This is the largest hospital project to be let under the ProCure 21+ framework. The proposed 360-bed Critical Treatment Hospital is at the front of a first wave of hospitals that only provide specialist and critical care services. Elective surgery, general medicine and outpatient services will be undertaken at surrounding local hospital sites. The new-build hospital centralises the Trust’s high acuity care, on a site that is located to maximise rapid emergency access for the surrounding population. This facility enables 24/7 access to these specialist services; which supports safer, more sustainable clinical services and even better outcomes, for the Trust’s most critically ill patients. 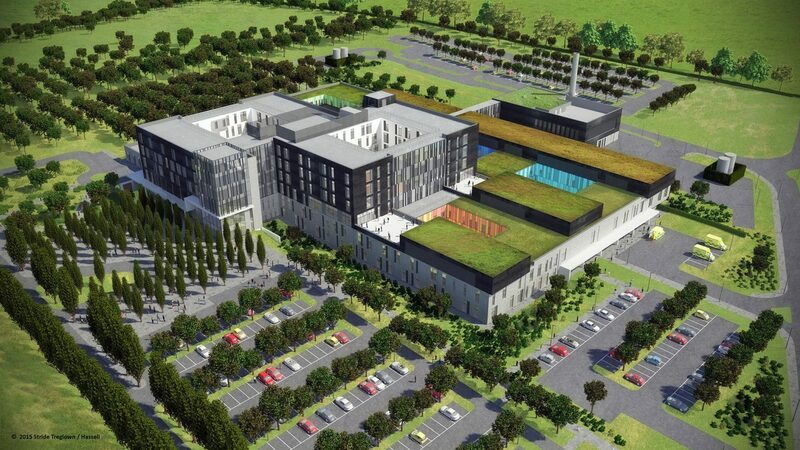 The purpose built, state of the art, hospital is to be built on a 22 hectare greenfield site that also incorporates a Cancer Treatment Centre, an Energy Centre, a Pathology Building and an Ambulance Station. The masterplan has been developed to enhance sustainability and environmental issues, whilst minimising the impact upon its surroundings. The 37,500m2 hospital is designed around compact clinical functional relationships, which maximises the clinical interdependencies and facilitates efficient diagnosis and treatment. The building has therefore been organised into four key functional clinical groups: (1) Emergency, Diagnostics, Paediatrics; (2) Theatres, Critical Care, Vascular Care; (3) Maternity, Neonatology; and, (4) Inpatient Wards. The £160m project is anticipated to be the largest UK major hospital project to be delivered via the ProCure 21+ construction framework. A fast-track design, procurement and construction programme will see the hospital open at the end of 2018. Jointly developed landscape proposals and masterplan with teams Hassell and BDP have applied consistent design principles to develop a new Critical Treatment Hospital (CTH) and Cancer Treatment Centre (CTC), south west of Basingstoke. The existing site is approximately 22ha on arable farm land has limited ecological value on the site adjacent with woodland copses. The development of a major public building on an existing ‘green field’ site requires careful consideration and great sensitivity in relation to its landscape character and visual impact from adjoining and neighbouring properties or settlements. woodland will be planted according to best forestry practice and will take many years to mature. However, it will create a stunning and unique setting for the hospital that will evolve over the years. 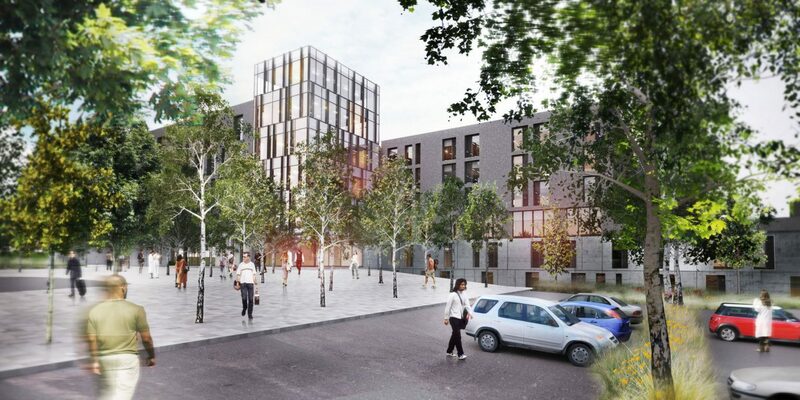 The scheme includes proposed 12 ha of woodland, plaza, extensive new infrastructure and courtyards. 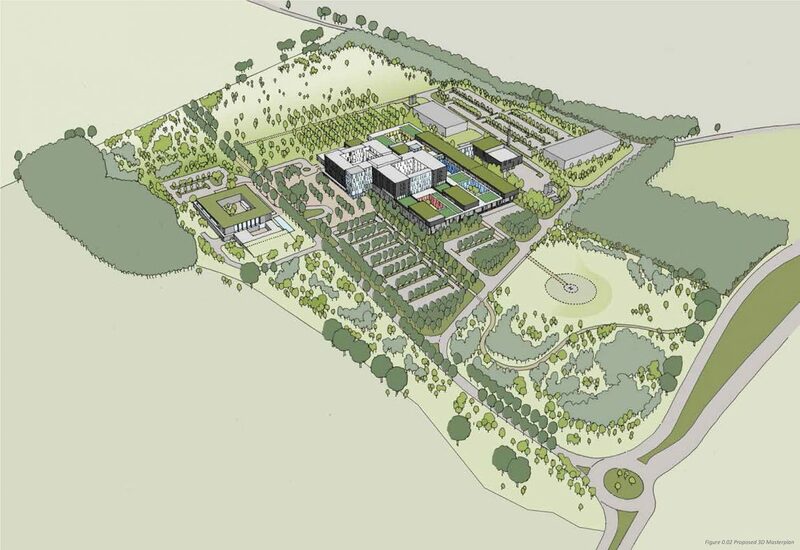 The Town Planning team at Stride Treglown are currently engaged in the coordination of a hybrid planning application and Environmental Impact Assessment in relation to the new £150m c34,000m2 Critical Treatment Hospital and c6,500m2 Cancer Treatment Centre on the edge of Basingstoke. 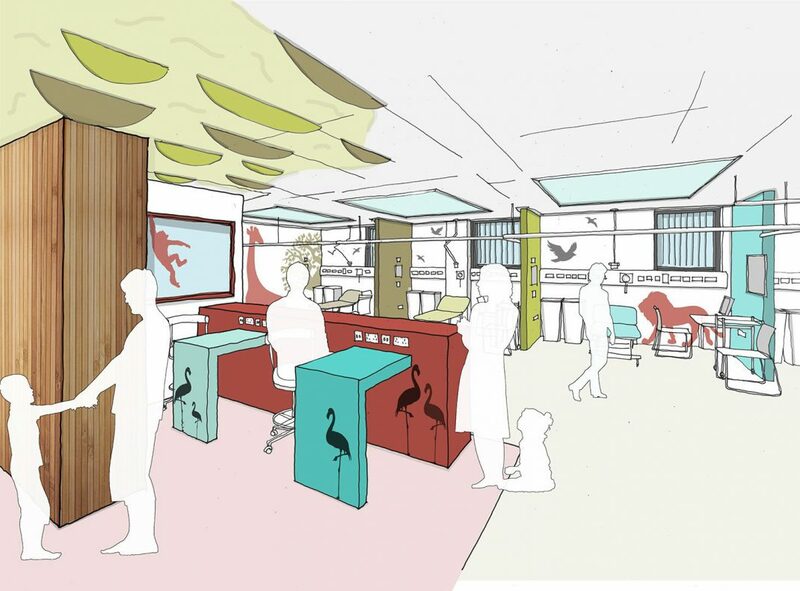 The Planning Team are also assisting the Trust in devising and implementing a public consultation and stakeholder engagement strategy aligned with the planning submission. Hampshire Hospitals NHS Foundation Trust (the Trust) provides acute hospital services to a population of around 600,000 in Basingstoke, Tadley, Alton and Bordon, together with surrounding towns and villages in the neighbouring boroughs of north and mid Hampshire and West Berkshire. Services are provided from Basingstoke and North Hampshire Hospital, with the south west of the borough served by the Royal Hampshire County Hospital. The existing provision is, however, close to capacity and, in line with the Government direction and patients’ expectation of a higher level of healthcare, there is a need to adapt the organisation and its services to cope with the change in demand. The Trust has, consequently, identified the requirement to provide additional healthcare facilities within the next 5 years, and this need is referred to in Basingstoke and Deane Borough Council’s draft Infrastructure Development Plan. A project to provide the proposed Critical Treatment Hospital, Cancer Treatment Centre and supporting hospital services, including a Helipad and revised access arrangements, is, therefore, being progressed by the Trust. 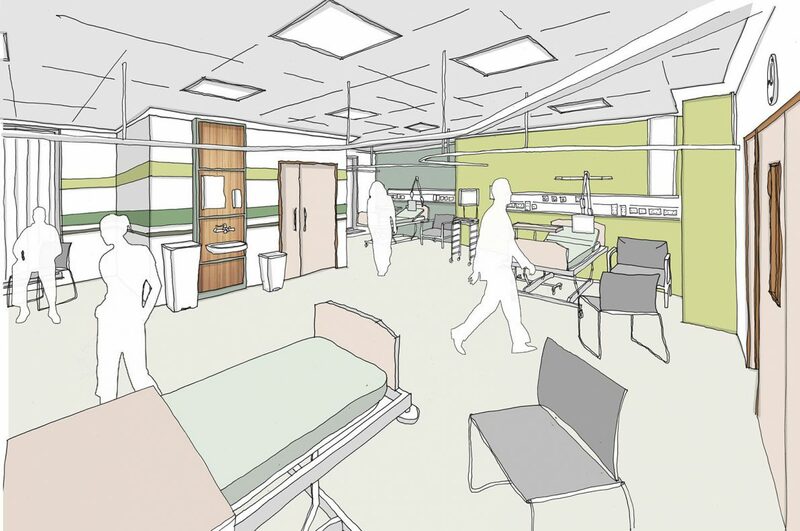 The facilities will be an essential project of regional importance that will provide new acute hospital services to support the existing healthcare provision managed by the Trust. Public healthcare delivery is in crisis, is it time to rethink permitted development constraints? How can healthcare estates resist the influence of uncertainty on asset value? Our integrated approach has answers.